miles of white sandy beaches invite you for walking, swimming or only relaxing and enjoying the sun. The daily sundowner is spectactular and will stay forever in your memory! with a tub-shower, one with a shower, a fully equipped kitchen with microwave and coffee maker. We really enjoyed our stay at Sandy Point! 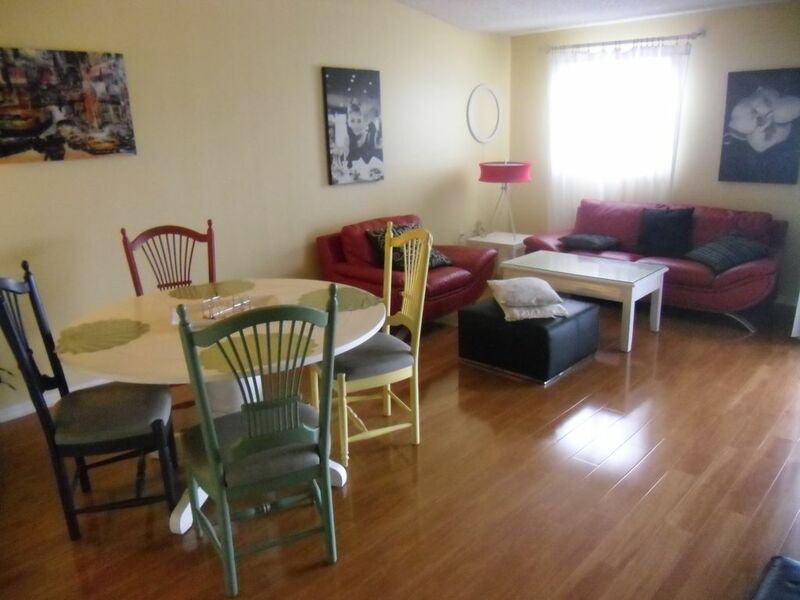 Beautiful condo and nice quiet location but close to beach and attractions. A bit confusing to find. Close to the beach. Functional, quiet. Appreciate having everything needed for a beach day (chairs, umbrellas, mats, cooler). House was clean with all necessary utensils. Comfortable and spacious with a nice screen enclosed patio. Beds were a bit squeaky and too firm for our tastes. On the other hand couches were very nice and comfy. Overall good experience and loved Anna Maria. Thanks for the hint regarding the beds. We have replaced the old boxsprings and the mattresses with new, medium firm, ones. You are welcome to stay again to check that out. Wie waren zum 4. Mal in einer Fewo in Sandy Pointe und jedes Mal war es wie man es sich vorstellt. Alles da was man braucht, und sauber und ordentlich. Über die Beschreibung hinaus gab es 2 Strandstühle und einen Sonnenschirm mit Sand-halterung. Das ist bei den Temperaturen und der Sonnenintensität nicht unwichtig. Den letzten Stern haben wir noch nie vergeben, den geben wir uns für das absolute wow-Erlebnis auf. Aber gefehlt hat nichts. Ich freue mich dass es Ihnen gefallen hat. Vielen Dank dass Sie meine Gaeste waren. / I'm happy to hearing that. Thank you very much for having been my guests! Payment of the total rental fee is due 30 days prior to arrival. 11.5% sales- and resort taxe are NON INCLUDED; 95US$ for the final cleaning is NOT included!